The purpose of this study was to compare the influence of a single-player game with that of a collaborative game on students' motivation, attention levels, and relaxation levels in a motion-sensing learning environment. Participants were 20 college students in a higher education institution in southern Taiwan. A Kinect-based game with motion-sensing technology was incorporated to help the students enhance their attention levels and reduce their anxiety. Results showed that when the students worked collaboratively, they achieved higher learning motivation. In addition, brainwave data revealed that during the gaming activities, the students' attention levels in both conditions increased. It is suggested that instructors can incorporate collaborative learning environments with a Kinect motion-sensing platform to enhance students' learning motivation. The present study investigated the effects of a collaborative Kinect-based game on students’ learning motivation, attention and relaxation levels using brainwave data. 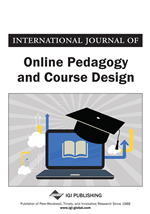 The rapid development of computer and multimedia technologies has led to various issues regarding the use of educational digital games, which have been widely discussed in the literature (Ayala, Mendívil, Salinas, & Rios, 2013; Furió, González-Gancedo, Juan, Seguí, & Costa, 2013; Furió, González-Gancedo, Juan, Seguí, & Rando, 2013; Gee, 2003; Homer et al., 2014; Squire, 2003; Squire & Jan, 2007). The study by Rosas, et al. (2003) pointed out that the use of educational digital games as instructional tools can support and strengthen students’ academic achievement, cognitive ability, learning motivation, and attention and concentration levels. Some other studies have confirmed that educational computer games can improve students’ academic performance (Brom, Preuss, & Klement, 2011; Chang, Wu, Weng, & Sung, 2012; Hung, Sun, & Yu, 2015; Hwang, Wu, & Chen, 2012; Wang, 2010). For instance, scholars have suggested that educational computer games are beneficial for developing children’s social abilities and cognitive performance (Yien, Hung, Hwang, & Lin, 2011). In addition, numerous studies on digital games have investigated students’ learning engagement (Barab, Sadler, Heiselt, Hickey, & Zuiker, 2006; Gee, 2003; Hung et al., 2015; Ketelhut & Schifter, 2011; Sánchez, 2011; Squire, 2003; Squire & Jan, 2007), and many studies have indicated that digital games used in education may contribute to a more interesting learning environment, fostering the acquisition of knowledge (Hung, Kuo, Sun, & Yu, 2014; Hwang et al., 2012), as well as enhancing students’ self-efficacy (Meluso, Zheng, Spires, & Lester, 2012; Sung & Hwang, 2013). In addition, as noted by Prensky (2001) the combination of clear learning objectives and the use of digital games can not only increase learning motivation, but can also yield interactive learning opportunities for students. Moreover, Admiraal (2011) conducted a collaborative game-based learning study involving 216 participants; their flow experience was investigated through team game activities applied to the learning of history. The results revealed that flow experience had a positive effect on the students’ gaming performance, but not on their learning outcomes. The Kinect motion-sensing platform is an authentic and unique way for people to interact with a device (DePriest & Barilovits, 2011; Homer, et al., 2014; Hsu, 2011). Specifically, research has found that computer games employing Kinect enable gesture- and movement-based interactions that may provide educational benefits in part by allowing dynamic in-game activities, maintaining student interest in the learning process, and supporting deeper engagement (Homer, et al., 2014; Ratan & Sah, 2015; Smith, King, & Hoyte, 2014). Smith, et al. (2014) studied 20 third and fourth graders who participated in body-based mathematics tasks in a motion-controlled, Kinect-based learning environment. Their results showed that Kinect-based learning enhanced students’ developing ideas of mathematics, and helped them to develop a strong connection between their body and the abstract representation of angles. Other studies have found that a group conducting Kinect-based learning activities and another conducting learning by book reading showed significant gains for “High Frequency Words,” “Active Decoding,” and “Total Reading Score.” However, these studies were not conducted in a collaborative learning context (Homer, et al., 2014; Smith, et al., 2014). The majority of research on Kinect-based learning has been focused on English reading skills, mathematics learning, and motor skills, while only a few studies have explored the impact of a combined application of collaboration and Kinect-based learning on students’ mathematics learning (Homer, et al., 2014). Therefore, the present study aims to address this gap by examining the learning motivation and the attention and relaxation levels of students in a classroom with a collaborative Kinect-game-based learning environment.